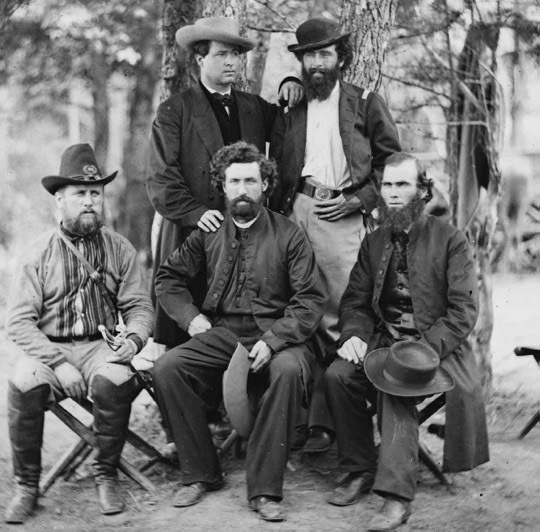 McClellan Army finally advanced on Richmond. His army reached within 15 miles of the city. His forces were divided between the North and South sides of the Chickahominy River. 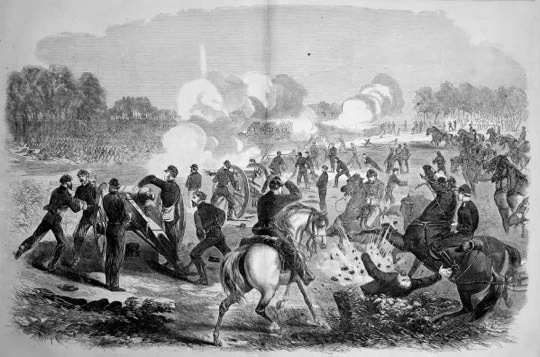 On May 31, Confederate forces under the command of Joseph Johnston attacked the divided Union forces, at Fair Oaks or Seven Pines, as it was known. The plan was simple, but the execution failed totally. The Confederate forces attacked piecemeal, instead of in one group. The result was that no significant ground was gained. 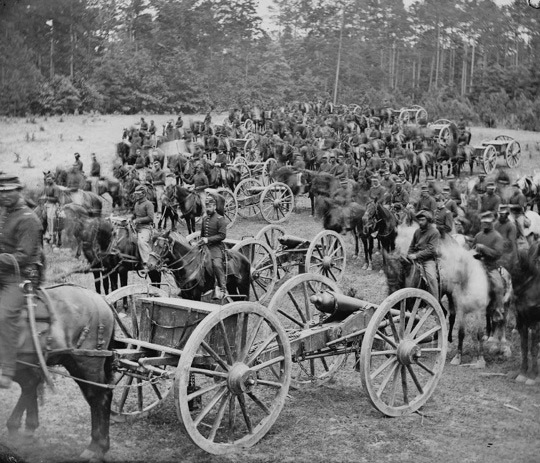 6,134 Confederates were killed or wounded, along with 5,031 of the Union’s soldiers. One Confederate casualty was more important than the others. On the evening of May 31st, Confederate commander, Joseph Johnston was severely wounded. General Robert E. Lee was appointed as the new Confederate commander. One of General Lee's first actions was to order James Ewell Brown Stuart to scout out Union positions. Stuart led his 1,200 cavalry troopers, on a three day ride around Union lines. In his spectacular ride, Stuart completely circled Union forces. 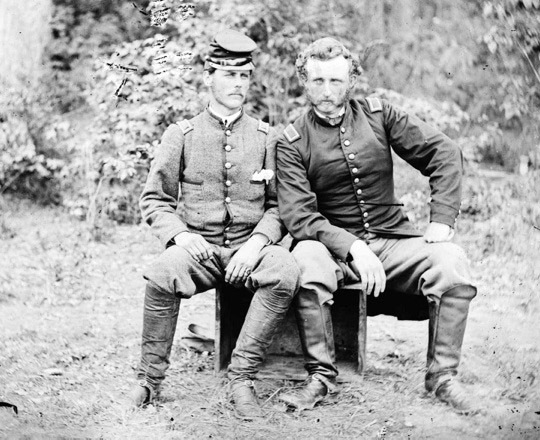 Lee knew that he had to proceed before McClellan could begin a siege of Richmond. 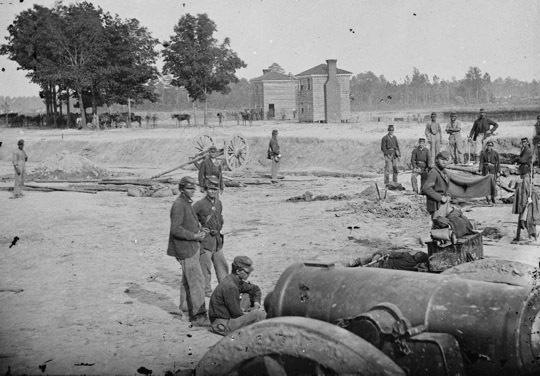 On June 26th, Lee attacked at Mechanicsville, the far flank of the Union line. The brunt of the attack was made by the forces of A.P. Hill. It was a lopsided fight. 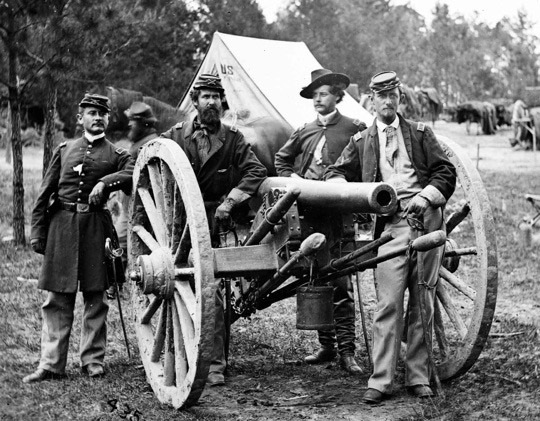 The Confederates sustained 1,500 casualties, while the Union sustained only 400. 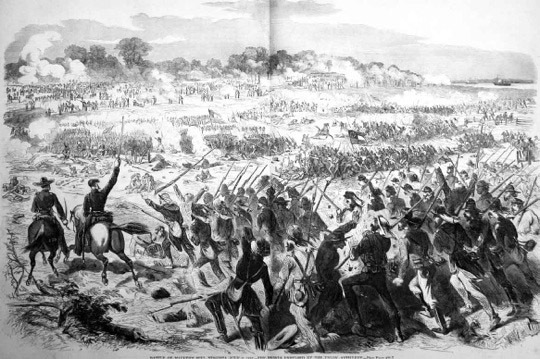 McClellan, however, felt that with overwhelming Confederate forces, liable to attack, he should withdraw the forces to a more defensible position at Gaines Mill. The next day Lee attacked again. The battle went on for the whole day. 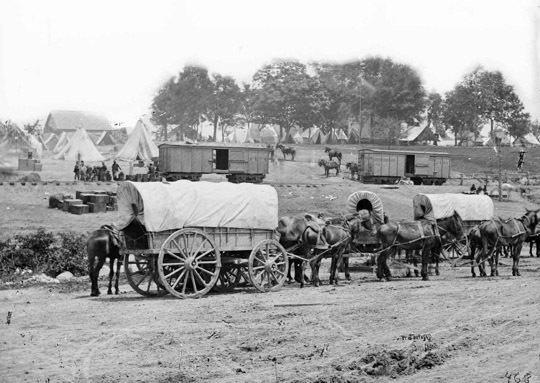 By the end of the day, Confederate forces succeeded in breaking through Union lines at Turkey Hill. When the results of the battle became known, McClellan made the decision to give up his base of supply at the White House, and move it to Harrison's landing. He gave orders for all his forces to retreat to the James River. 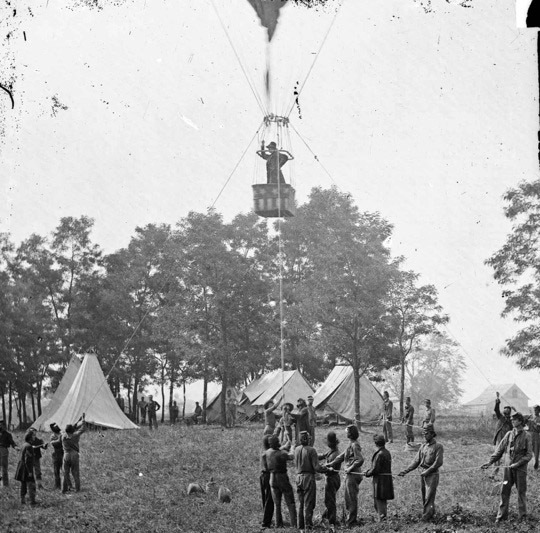 McClellan, even though his losses had been lower than the Confederate losses to date, was convinced he had lost. 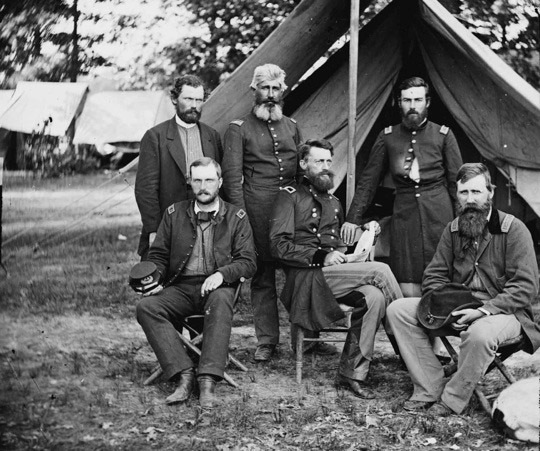 McClellan wrote: "If we have lost the day we have yet preserved our honor and no one need blush for the Army of the Potomac. I have lost this battle because my force was too small. I again repeat that I am not responsible for this and I say it with the earnestness of a General who feels in his heart the loss of every brave man who has been needlessly sacrificed today. I still hope to retrieve our fortunes, but to do this the Govt. must view the matter in the same earnest light that I do you must send me very large reinforcements, and send them at once. I shall draw back to this side of the Chickahominy and think I can withdraw all our material. Please understand that in this battle we have lost nothing but men and those the best we have. In addition to what I have already said I only wish to say to the President that I think he is wrong, in regarding me as ungenerous when I said that my force was too weak. I merely reiterated a truth which today has been too plainly proved. I should have gained this battle with (10,000) ten thousand fresh men. If at this instant I could dispose of (10,000) ten thousand fresh men I could gain the victory tomorrow. I know that a few thousand men more would have changed this battle from a defeat to a victory as it is the Gov’t must not and cannot hold me responsible for the result." 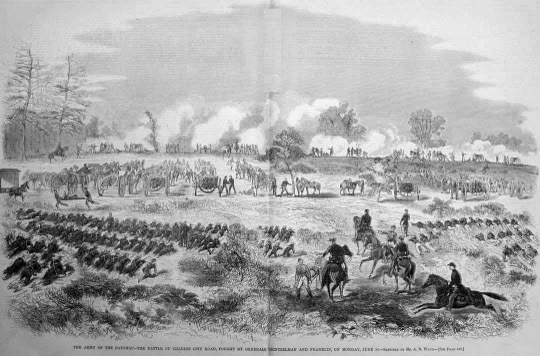 McClellan had over 60,000 troops that were not engaged during this battle. 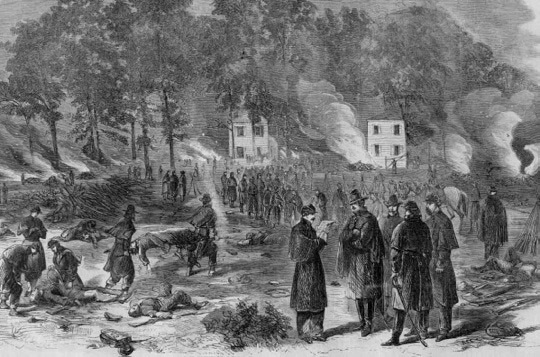 As the Army of the Potomac withdrew across the Peninsula, Lee attempted to destroy it– at Savage Station on June 29th and Glendale on June 30th. 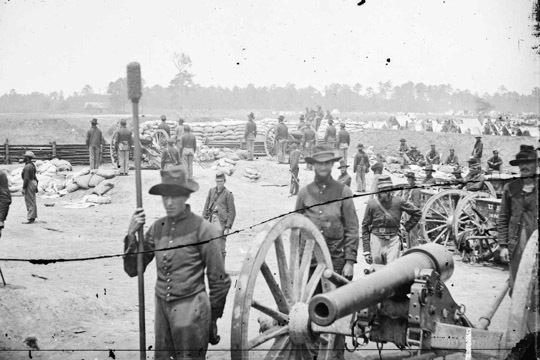 Lee made a final effort at Malvern Hill to destroy the Union army. However, the Hill was well defended, and 5,590 Confederates died while trying to scale it. The Union lost only a third as many. So the Seven Days campaign came to an end. 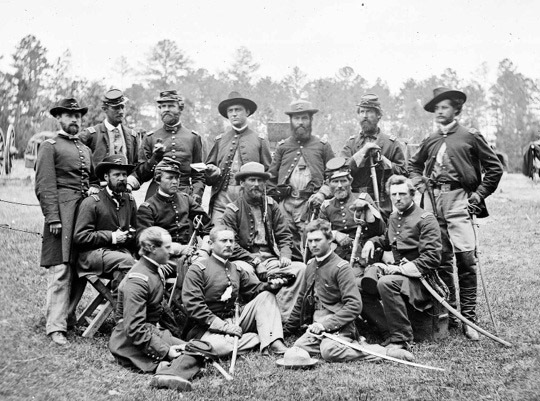 The Confederates who started out with less men than the Union, lost more men in the campaign. Still, when the battle opened Union forces threatened Richmond. As the battle ended, McClellan's army of the Potomac was bottled up in Harrison Landing. Cold Harbor, Va., vicinity. 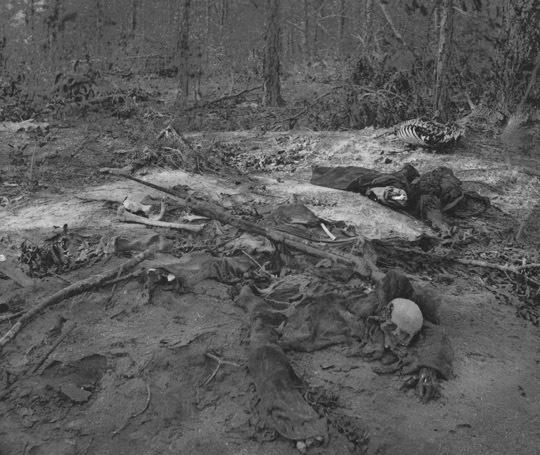 Unburied dead on the battlefield of Gaines' Mill:Photographed James GibsonJune 1862. This illustration from Harpers Weekly June 21, 1862. 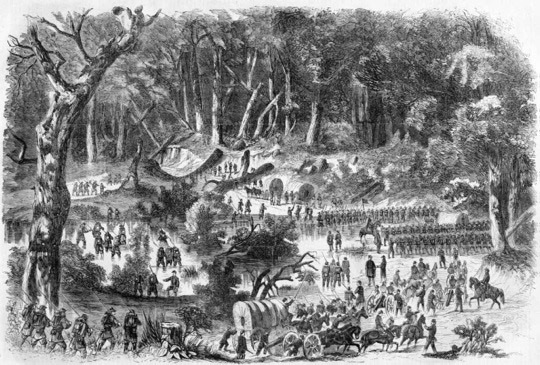 The caption states: The Army Of The Potomac—general Davidson's Brigade Taking Possession Of Mechanicsville, Near Richmond, Virginia, May 24, 1862.—sketched By Mr. Mead.the Enemy On The Hill In The Distance.—from Sketches By An Officer Who Was Present. This illustration from Harpers Weekly June 7, 1862. 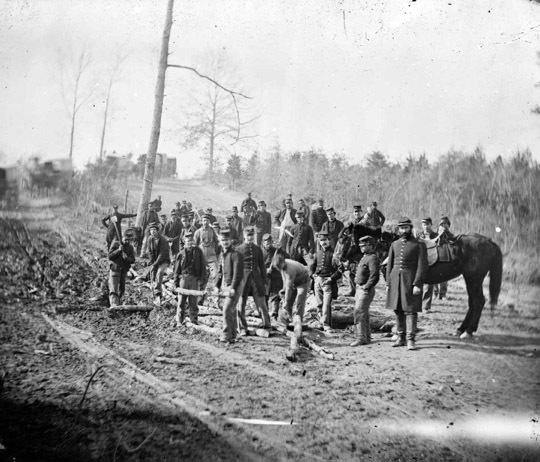 The caption states:General Mcclellan's Army On The March Through The Woods From Williamsburg Toward Richmond. 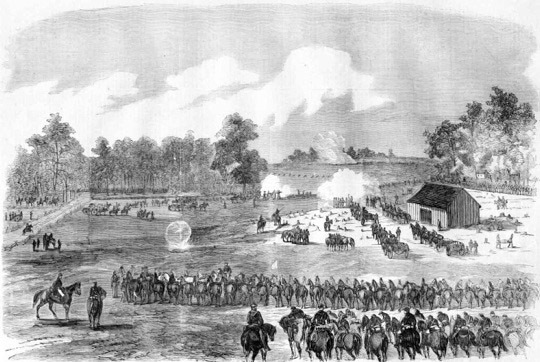 Fair Oaks, Va. Prof. Thaddeus S. Lowe observing the battle from his balloon "Intrepid"
This illustration from Harpers Weekly July 19, 1862-the caption:The Army Of The Potomac—burying The Dead, And Burning Dead Horses at Fair oaks Station, Virginia.—sketched By Mr. A. R. Waud. Fair Oaks, Va., vicinity. Capt. Rufus D. Pettit's Battery B, 1st New York Light Artillery, in Fort Richardson. Field Hospital- Savage Station, VA? 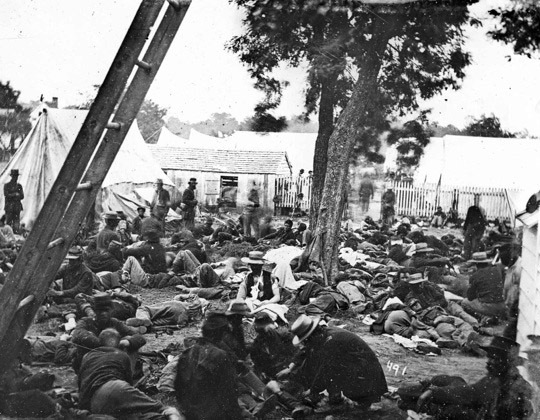 [Savage Station, Va. Field hospital after the battle of June 27]. Gibson, James F., b. 1828 photographer. Created-Published: June 30, 1862. 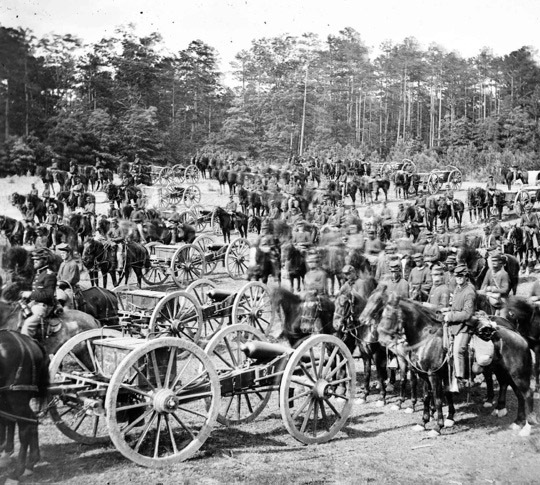 Photograph from the main eastern theater of war, the Peninsular Campaign, May-August 1862. The Peninsula, Va. A 12-pdr. 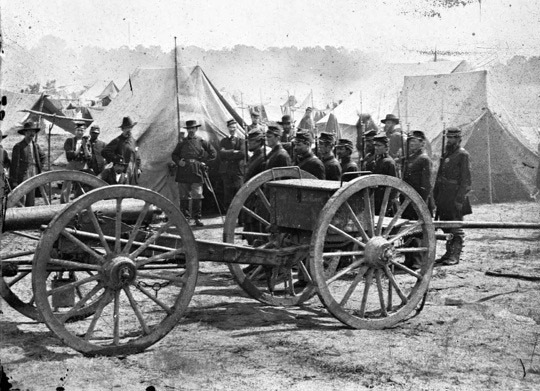 howitzer gun captured by Butterfield's Brigade near Hanover Court House, May 27, 1862.